The word ‘genius’ is overused in music journalism, wider writing and the world in general. When it comes to Mike Patton, however, there aren’t enough superlatives to describe the man. 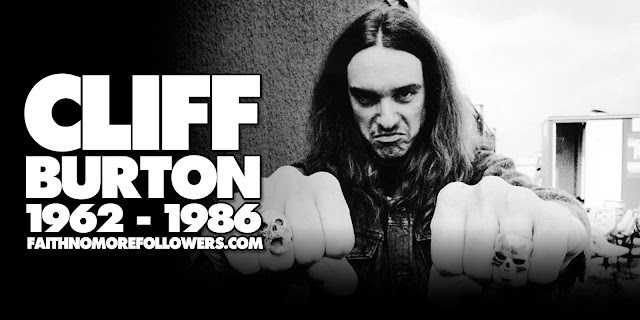 From rising to fame with Faith No More and subsequently splitting with the group in 1998, to pulling double duty with Mr. Bungle, working on film soundtracks, the Faith No More reunion and more, Patton has become a voyager of music. An explorer of the eclectic. No genre is left unspoiled; no hairdryer is safe (see J is for… Juice for clarification.) There’s no peg to hang this on nor upcoming release to sell with this feature. We’re just here to salute the solitary, maverick talent that is Mike Patton. Join us. 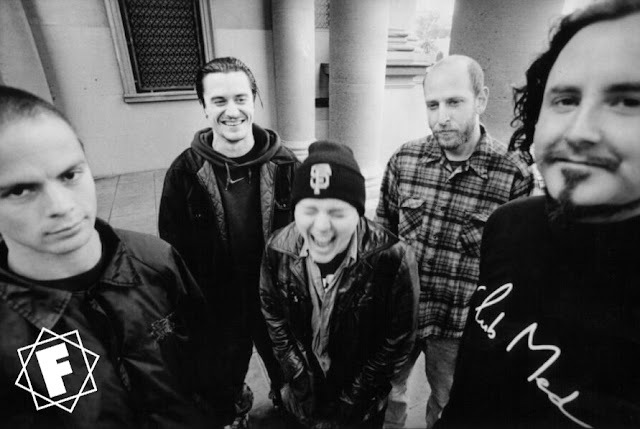 Faith No More had caused a stir with their genre-blending sound and first major anthem We Care A Lot in 1985, but it was the replacing of singer Chuck Mosley with a young Californian chap called Mike Patton that proved to be their smartest move. The new lineup’s first album together, The Real Thing, ushered in a whole new era for heavy music, as songs like Epic and From Out Of Nowhere ditched the usual clichés in favour of a box-fresh amalgam of influences that pointed to countless future possibilities. Korn Cover 'We Care A Lot' for Metal Hammer 30th anniversary. ...we just had to ask Patton for a FACT mix. And it shouldn’t be a surprise that the mix is a mad as a box of spanners, kicking off with the theme from South Park creators Matt Stone and Trey Parker’s Team America: World Police and ending on a classic cut from Nick Cave’s The Birthday Party. Patton calls this selection an “insomnia playlist” – too much ‘Caffeine’, maybe? Credited for inspiring the likes of Nirvana, Metallica and Guns N’ Roses, Faith No More is a keystone act if there ever was one. To mark the new reissues, we sat down with Faith No More’s Mike Bordin to talk about five albums that have shaped his life and music. This is my dad’s record! It’s a real transitional record for me; it took me from being a 7-year-old kid listening to Peter, Paul and Mary and “Puff the Magic Dragon” to “Tomorrow Never Knows” and “Norwegian Wood.” It was really life changing. Honesty it probably isn’t my favorite Sabbath record – but it’s one of the first I heard in its entirety. Tracks like “After Forever” are just so heavy. It’s dark, it’s thunderous. This wasn’t my parents’ music. This was mine! I actually heard this early on, from a friend of [former FNM frontman] Chuck Mosley’s. It’s categorized as a jazz record, but really it was just a guy doing traditional music. It’s got real soul from its greasy and murky roots – it’s R&B, it’s gospel, it’s jazz, but it’s also a blues record. Really it got me into everything. Joe had some real well-made songs – and then right when he was at this peak of new wave and power pop, he just turned around and made this record of ’30s jump classics. He made a real statement with it – it look a lot of courage to do that. And this record really made me smile. It gave me joy. I took some time away from the extreme aggression of metal for a couple of years, and got into a whole new kind of aggression in punk. I saw lots of similarities between this record and metal. It was like going back to something so ultra-aggressive, I wanted to emulate that power in the drums – and nothing personifies that power quite like Paul Ferguson. It changed everything for me. 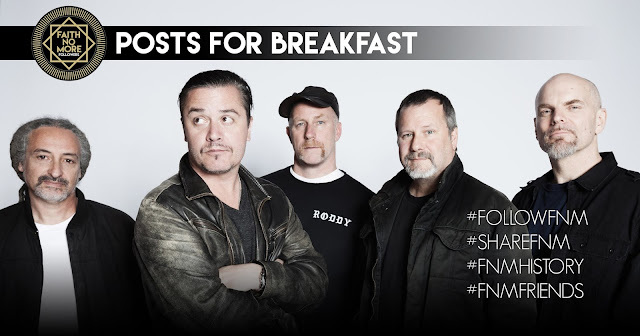 Faith No More On Episode 28 Of The World's Loudest Podcast! ...we sit down with Faith No More's Roddy Bottum to discuss 'We Care A Lot,' Courtney Love, the early days with Chuck Mosley, being the accidental pioneers of nu metal, and much more. Look out, world! Our animated short film The Absence of Eddy Table will play Nordisk Panorama Film Festival 2016, Ottawa International Animation Festival (OIAF) and Fantastic Fest in the coming weeks! Directed by Rune Spaans, the film is based on the works of Dave Cooper who also wrote the script. Featuring voice work from Mike Patton and Ingrid Bolsø Berdal, and with an original score by Kaada. Check out the first teaser below!